This plant was introduced to the UK as a garden plant from the Balkans and has now become widely naturalised throughout the UK and Ireland. 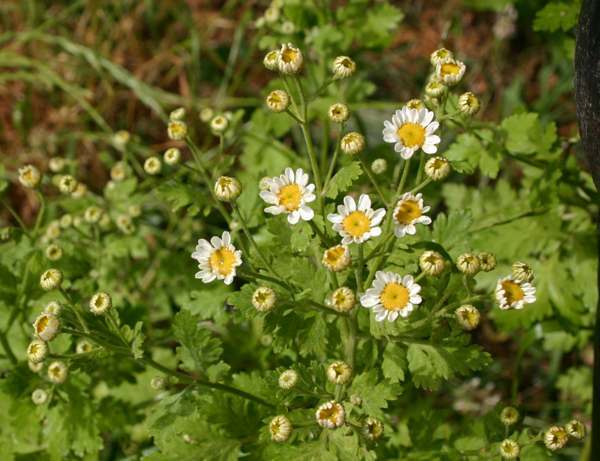 Feverfew is a distinctive, aromatic perennial with leaves that are often more yellow than green. It grows on walls and waste land, sometimes creating large patches of dense flowers from June through to late September. 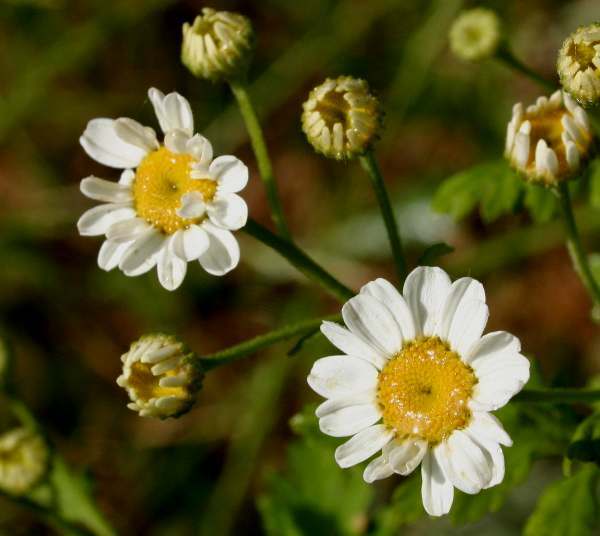 Feverfew is usually at its best in July. The flowers, which are typically 20 mm across, have a characteristic dimple-like depression in the centre. In Middle Ages this plant was (as its name suggests) used widely as a medicinal herb for any number of ailments, inlcuding fevers and headaches. It has since been recognised my mainstream medical services as a very effective treatment of persistent migraine headaches. The plant shown on this page was photographed in West Wales in July.